You’ll Love All The Benefits Of Mortise Locks! 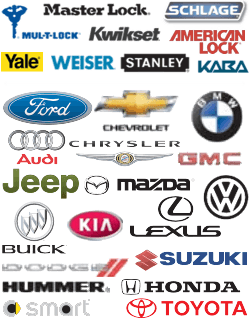 Do you require the assistance of an honest licensed, bonded and insured full-service mobile locksmith? Pflugerville Locksmith Pros offers comprehensive lock installations and repairs. And, if you need a technician to assist you with mortise locks for your home or commercial property, we’re your top choice! 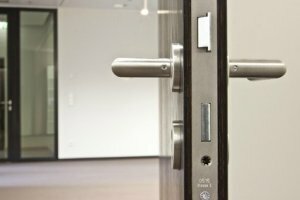 We offer a fast assistance to help resolve emergency lock problems, such as accidental lockouts. And, we provide expert evaluations of locks after break-ins or burglaries. Ask us to troubleshoot commercial security systems, install digital “smart” locks, repair automatic door closers or extract broken keys correctly from auto ignitions! We supply comprehensive lock services in Pflugerville Texas. Our technicians respond to service requests within 30 minutes (or less). If you require the assistance of a capable local 24-hour locksmith, you can contact us at any time for a fast, courteous response. As a local firm, we possess familiarity with this area. Our locksmiths travel to a customer’s location using the best, most direct routes. Widely used for many years throughout the world, this type of vintage, secure lock has recently enjoyed a resurgence of popularity in the United States. Installing one of these locks correctly requires a high-degree of skill since the locking mechanism resides within a slot or “mortise” cut into wood. A mortise door lock frequently offers better protection than many other types of locks because the interior location of the locking mechanism protects it more effectively from lock pickers. Additionally, an attractive (and secure) metal face plate typically adjoins the door handle, providing an extra layer of protection for the lock mechanism. You can select mortise lock sets, door handles and metal plates in an appealing variety of styles and colors today. These locks became very popular during the Victorian Era. Frequently modern homeowners seeking fashionable decorating motifs choose these distinctive locks to complement other design features in Victorian-style homes. For instance, a property owner may request the installation of a new mortise lock together with a Victorian-style glass or porcelain door knob and metal plate. We assist homeowners and businesses by installing and repairing mortise locks at any hour of the day or night. These mechanisms require correct placement and careful installation in order to provide security. Our team of locksmithing experts can help you equip both interior and exterior doors with attractive mortise lock sets, door handles and metal plates. We can also install smaller versions of these specialized locks in wooden desks or cabinets. You’ll love the beauty of these elegant and unique locks and door handles! To learn more about secure mortise locks, or to schedule a locksmithing service call, simply call Pflugerville Locksmith Pros. We assist businesses, homeowners and motorists throughout the Greater Pflugerville Area! Mortise Locks https://pflugerville-locksmith.co/lock-services/mortise-locks/ 4.4/5 based upon 18 reviews.